Sh. Yousef Wahb is a graduate of Al-Azhar’s Faculty of Languages and Translation, where he studied Islamic Studies in the English Language. He has also acquired an Advanced Level of Qira’at (Quranic modes of Recitation) from Al-Azhar Institute. 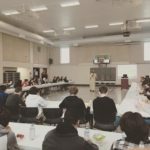 He has dedicated over 10 years as an imam and visiting lecturer at various Islamic Centres, mosques, schools, and youth camps. Previously, he headed the Academic Committee of Shaykh al-Amoud Foundation to educate youth in Egypt on the various branches of Islamic knowledge. 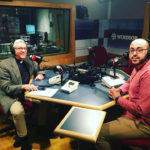 Since 2014, he has been serving Windsor's Muslim community, initially as an Imam at the Rose City Islamic Centre and currently as the Imam of Youth, Education & Outreach at the Windsor Islamic Association. 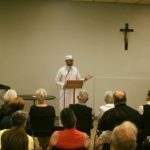 He serves several community initiatives through the Windsor Imams Council and the Windsor Islamic Council while continuing to teach a wide array of disciplines (including Quran, Fiqh, Hadith, Aqeeda, and Logic) to diverse ages and audiences in both Arabic and English through the Al-Majlis program. Sh. 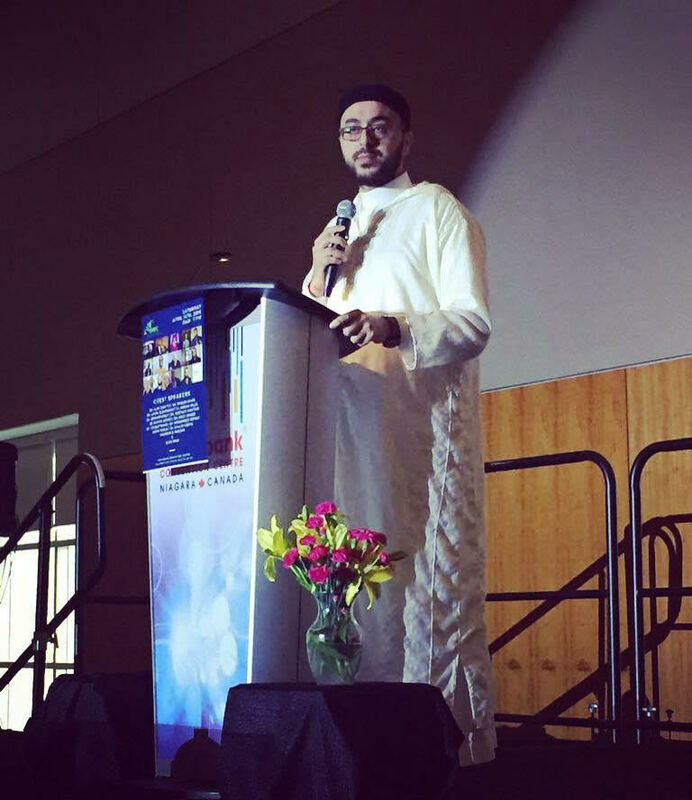 Yousef also regularly counsels: Mosque congregants, special case referrals through ISWA, and youth, in coordination with the Muslim Student Association at the University. Sh. Yousef Wahb is passionate about empowering others through knowledge. 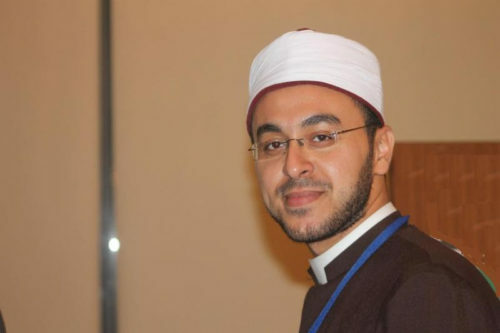 Previously, he led the Academic Committee of Shaykh al-Amoud Foundation, where he helped establish a curriculum to educate youth in Egypt on the various branches of Islamic knowledge. 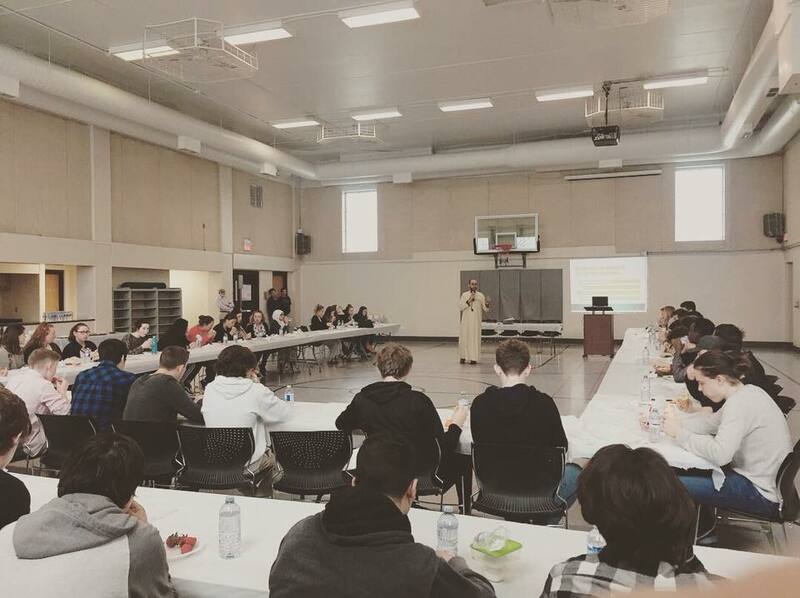 Today, he continues to teach at a variety of venues across the city on an array of disciplines, including Quran, Fiqh, Hadith, Aqeeda, and Logic. 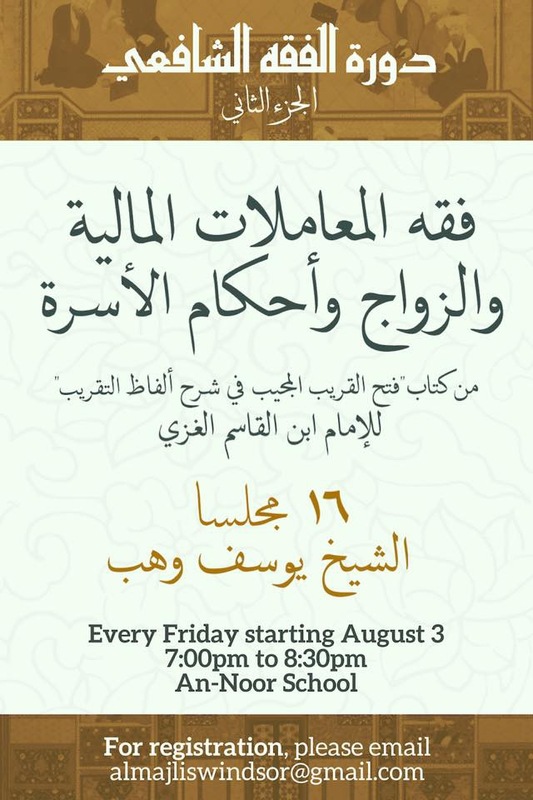 Al-Majlis: 2 streams of this program are offered, one in Arabic, and one in English. These series of courses are open to dedicated students of knowledge seeking to enhance their understanding of various fields of Islamic Sciences. Quran: Sh. 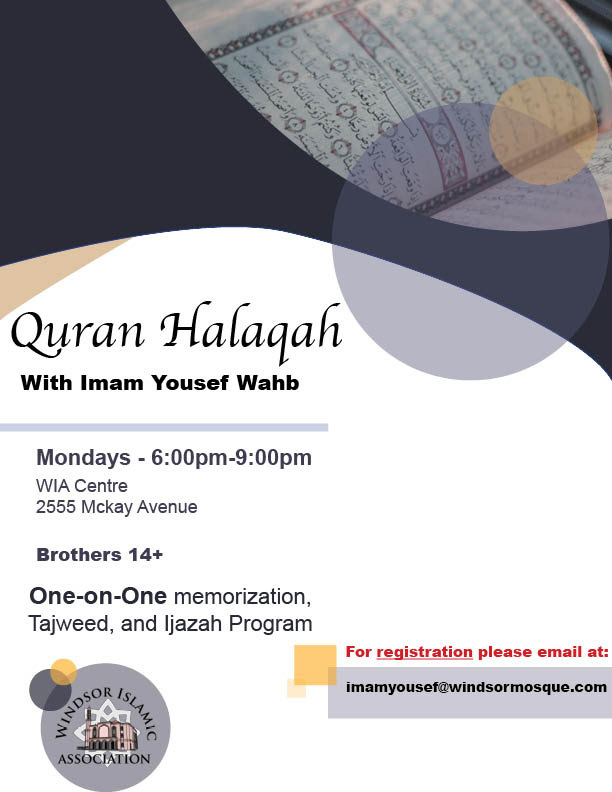 Yousef is certified to teach the 10 modes of Quranic recitation from Al-Azhar Institute, where he has the Advanced Level of Qira’at. Sh. 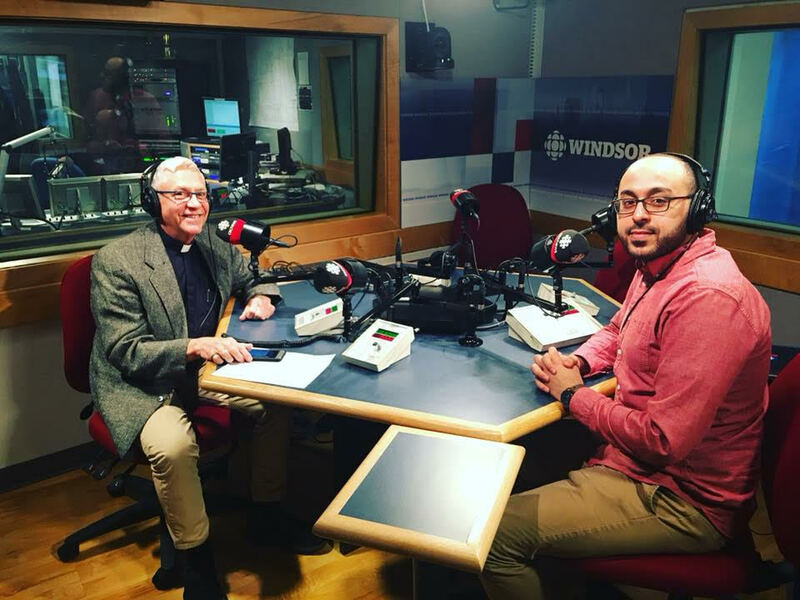 Yousef Wahb regularly counsels Windsor Muslims, including youth, general Mosque congregants, and case referrals through ISWA. Youth: In collaboration with the Muslim Students Association, Sh. 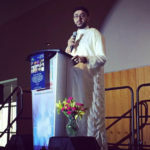 Yousef counsels youth and university students at the University of Windsor campus on Tuesdays. Mosque: Sh. Yousef counsels general community members on both personal and general matters. Sh. 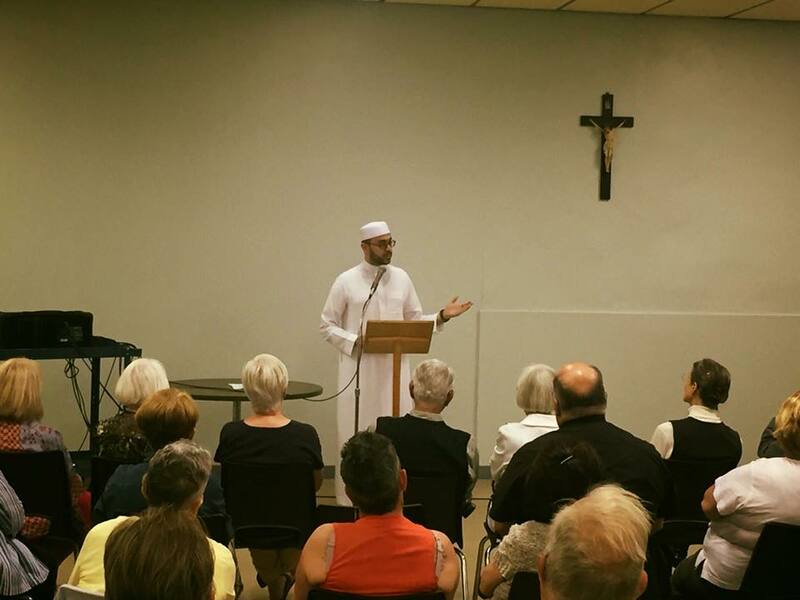 Yousef is also dedicated to a variety of outreach activities including supporting open house tours of the mosque, speaking engagements at conferences and interfaith events as well as social service collaborations with local organizations.